Summerlin-Beachfront for Late Summer! 5 Star! 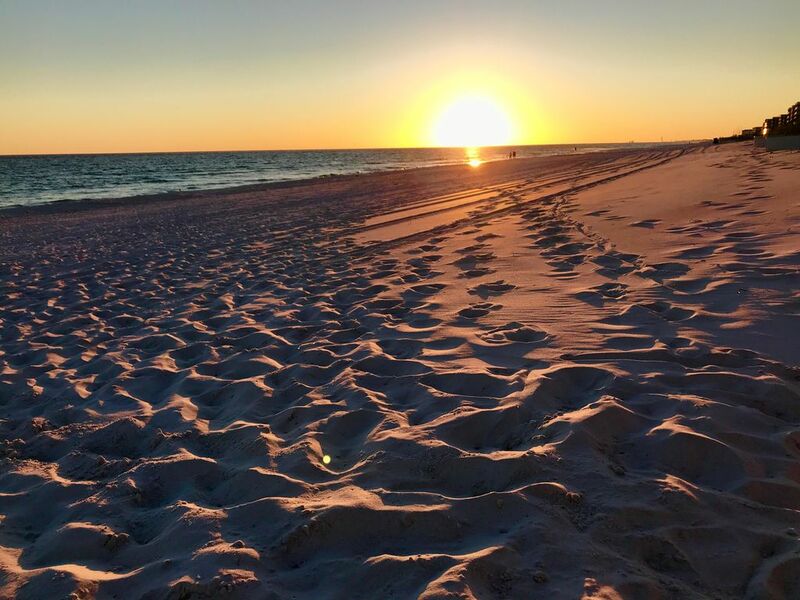 Enjoy the Emerald water and the powder white sands of Destin, Ft. Walton Beach Florida, from your private 3rd floor balcony overlooking the Gulf of Mexico and your gulfside swimming pool. Summerlin is a beautiful two bedroom condo on Okaloosa Island, in a small 30 unit beachfront complex. This condo has the best of everything for those who only want the finest. FREE high speed wireless internet. 3 TVs, DVD player, books and games. Fully equipped, stainless steel kitchen, dining room seats 6, seperate laundry room--you will love this place. Can sleep up to 6 with king bed master bedroom which has its own private bath and opens up to the balcony. Second master is spacious with a king bed and its own bathroom which also opens up into the hall. Also a queen sofa sleeper. Our rates include BEACH SERVICE (March 1-October 21)! Newly renovated walk-in tile showers with glass doors! Furniture quality bathroom vanities with custom mirrors and art! Our third floor unit is directly on the beach. Your view is unobstructed and beautiful! Large rectagular table with comfortable seating for six (6). Yes you can see the ocean from the dining room table! Available for rental right on the Island! Several courses just minutes away! We have something for everyone! Of course, relaxing on the sugar white sandy beaches, exploring the some of the local attractions including: the Gulfarium, Adventure Island (for the kiddos) and Eglin Air Force Museum... and many more! We offer dozens of awesome local restaurants, shopping and arts! We are just minutes from Destin (without all the traffic). And don't forget: we are known for our world class fishing! Year round activities, dining, shopping and fun for all ages!